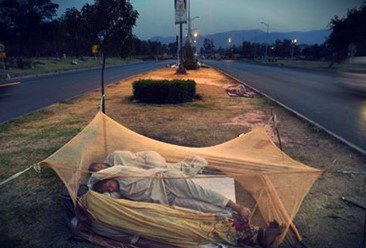 It is not the best optics for India, Asia’s third largest economy — people dying of vector borne diseases, health services crippled by lack of hospital beds and doctors and a government looking on helplessly. 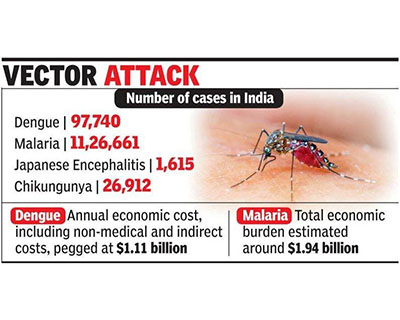 The recent surge in vector-borne diseases in the national capital has once again exposed the inadequacy of national public health programs in India. Can India ever be prepared to deal with the cyclic vector menace? What are the telling statistics? 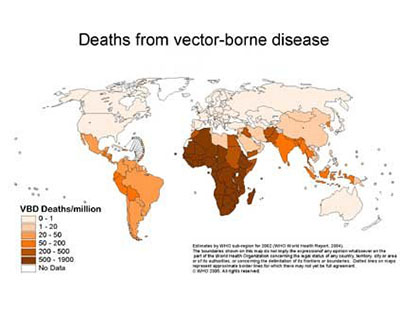 Vector-borne diseases account for 17% of the estimated global burden of all infectious diseases. The most deadly vector-borne disease, malaria, caused an estimated 627 000 deaths in 2012. However, the world's fastest growing vector-borne disease is dengue, with a 30-fold increase in disease incidence over the last 50 years. Why is India struggling to deal with the vector borne diseases? Lessons not learnt from past experiences: An analysis of data prepared under the aegis of the Ministry of Health and Family Welfare from 2010 to 2015 shows that there was an over 1,000 per cent increase in VBDs in Haryana and Madhya Pradesh, a 957 per cent increase in West Bengal, over 300 per cent increase in Andhra Pradesh, and a 154 per cent increase in Delhi.The statistics show that both the central and state governments have not learnt lessons from their past failures. Population explosion and rapid urbanization: Owing to population growth, poor levels of hygiene, and increasing urban poverty, the urban environment in India is rapidly deteriorating. Densely packed housing in shanty towns or slums and inadequate drinking-water supplies, garbage collection services, and surface-water drainage systems combine to create favourable habitats for the proliferation of vectors and reservoirs of communicable diseases. As a consequence, VBDs such as malaria, dengue and filariasis are becoming major public health problems. Health is a state subject: Health comes under the state list. So, even though the central government frames umbrella legislations, it requires commitment from all the states to implement such policies. If the centre enforces anything on the states, it would be seen as an encroachment on federalism. Blame game: As discussed above, with lack of clear roles on health, a blame game is always a possibility. The recent episode between Delhi’s Chief Minister Arvind Kejriwal and Lieutenant Governor (LG) Najeeb Jung is a classic example. Both blame each other for the current outbreak of diseases in Delhi. Failure of local health administration: It is the responsibility of local health authorities to generate awareness regarding the disease, take measures to prevent mosquito breeding and the spread of disease, and ensure availability of health services for those infected. The occurrence of such VBDs indicates a lack of sufficient and timely preventive and public health efforts by the local health administration. Denial of such disease cases and deaths by these authorities has resulted in ineffective and inadequate preventive measures to control these diseases. Corruption: Many of India’s civic bodies are corrupt, and are led by people belonging to various political parties. There is a clear lack of accountability. 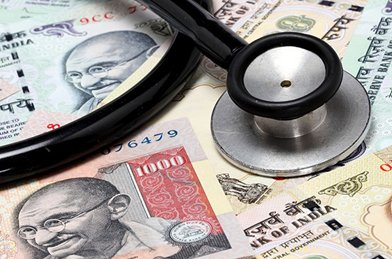 India’s health sector is one of the most corrupted in the country. This stems right from the peon in the government hospital to the chief of the hospital.People even do business over dead bodies during the post-mortem. All these result in poor health conditions, poor waste disposal systems, poor sanitation, and lack of awareness programs. When did the efforts to mitigate these diseases start? The National Vector Borne Disease Control Program (NVBDCP) was launched in 2003-04 by merging the National anti-malaria control program, the National Filaria Control Program and the Kala Azar Control program. Japanese B Encephalitis and Dengue/DHF have also been included in this program. The central government provides technical assistance and logistics support including anti malaria drugs, DDT, larvicides, etc. under NVBDCP within the overall umbrella of National Health Mission. But the state governments have to implement the program according to the guidelines provided and have to ensure the availability of required human resources and other logistics. Nodal agency: The Directorate of National Anti-Malaria Program (NAMP) is the nodal agency for prevention and control of major Vector Borne Diseases. National Anti-Malaria Program: At the time of independence malaria contributed 75 million cases with 0.8 million deaths every year prior to the launching of the National Malaria Control Program in 1953. A countrywide comprehensive program to control malaria was recommended in 1946 by the Bhore committee report that was endorsed by the Planning Commission in 1951. National Filaria Control Program: The program was launched in 1955 mainly for the urban areas. However, the program has been extended to rural areas since 1994. 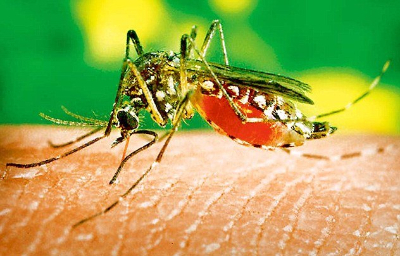 Dengue and Dengue Hemorrhagic Fever: The government has taken various steps for prevention and control of Dengue and Chikungunya in the country. Along with other measures, the central government has developed a Long Term Action Plan for Prevention and Control of Dengue in the country and sent it to the State(s) for implementation. Japanese Encephalitis Control Program: The government has constituted a Task Force at National Level which is in operation and reviews the JE situations and its control strategies from time to time.The most disturbing feature of JE has been the regular occurrence of outbreak in different parts of the country. 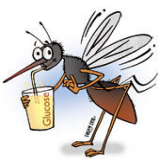 Kala-Azar Control Program: Kala-azar is a chronic disease caused by an intracellular protozoan (Leishmania species) and transmitted to man by bite of female phlebotomus sand fly.Currently, it is a devastating disease in Bihar, Jharkhand, West Bengal and some parts of Uttar Pradesh. In view of the growing problem, planned control measures were initiated to control kala-azar. Where do these vector-borne diseases occur outside India? General trend: Most of the VBDs are commonly found in tropical and sub-tropical regions and places where there is a lack of access to safe drinking-water and sanitation systems. Yearly loss: Every year there are more than 1 billion cases and over 1 million deaths from vector-borne diseases such as malaria, dengue, schistosomiasis, human African trypanosomiasis, leishmaniasis, Chagas disease, yellow fever, Japanese encephalitis and onchocerciasis, globally. VBDs account for over 17% of all infectious diseases. Distribution: The distribution of VBDs is a complex function of various economic, environmental and social factors. Globalization and Urbanization: Tropical diseases were basically associated with rural poverty and this remains true even now. However, the same diseases have also become more closely linked to densely packed urban populations, particularly in the tropics. Due to rapid transport and growing tourism, trade and business travel and various forms of migration, the VBDs made their entry into the new urban centres of various countries, both developed and developing. For example, some diseases such as dengue, chikungunya and West Nile virus, are emerging in countries where they were previously unknown. Influence of climate: Changes in agricultural practices due to variation in temperature and rainfall can affect the transmission of VBDs. Malaria: It is one of the most widespread and serious tropical diseases. Over 40% of the world population are at some risk to this mosquito-borne parasitic disease in 103 countries. Nearly 200 million people, mainly in tropical Africa, reside in malaria-endemic regions, where few or no antimalarial control programs exist. Outside the African continent, India, Brazil, Afghanistan, China, Myanmar, Thailand and Vietnam account for another 25%. Dengue and dengue haemorrhagic fever: Dengue is considered to be the single most important arbovirus disease of man. In its more fatal form, known as dengue haemorrhagic fever (DHF), it was previously restricted to south-east Asia and thePacific; since the late 1970s it has become endemic in the Americas and caused serious epidemics, resulting in millions of cases and the loss of thousands of lives. Who can serve as an example for India? The WHO officially recognised Sri Lanka as a malaria-free country. The announcement came at the 69th Session of the WHO Regional Committee for South-East Asia Region. The WHO certifies a country as disease-free when the chain of local transmission is interrupted for at least three consecutive years; the last reported case in Sri Lanka was in October 2012. With no local transmission reported, Sri Lanka’s priority since October 2012 has been to prevent its return from outside, particularly from malaria-endemic countries such as India. Sri Lanka’s road to the elimination of Malaria was not easy. It demanded well-calibrated, responsive policies. For instance, after cases of malaria soared in Sri Lanka in the 1970s and 80s, the country revised its strategy, intensively targeting the parasite in addition to targeting the mosquito. "The change in strategy was unorthodox, but highly effective," a statement from the WHO said. In a commendable initiative, Sri Lanka adopted a two-pronged strategy of targeting both the vector and the parasite, undertaking active detection of cases and residual parasite carriers by screening populations irrespective of whether malaria symptoms were present. Early detection and treatment of asymptomatic parasite carriers, who serve as reservoirs of infection, played a crucial role in interrupting the chain. While this was achieved by means of house visits and by starting mobile clinics in high-transmission areas, real-time monitoring through effective surveillance systems, community awareness and mobilisation also played their role. The public sector and the private sector were oriented to the common goal of eliminating malaria by enhancing case notification and achieving 100 per cent detection and confirmation through tests. 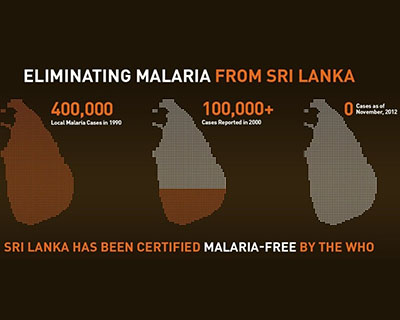 Sri Lanka has now joined the ranks of 34 countries that have been certified malaria-free since the 1960s. In Vietnam, scientists have introduced Mesocyclops (a type of crustacean) into household water tanks and water jars in rural provinces of northern and central Vietnam.Mesocyclops are known to prey on mosquito larvae.So, they can be used as a nontoxic and inexpensive form of biological mosquito control. With cleanup campaigns and awareness events along with gradual expansion of this strategy by health authorities helped in eliminating the dengue fever vector in most of the communities.No cases have been reported since 2002 in these areas. In Cambodia, tests are underway to develop a new long-lasting insecticide-treated netting cover for household and other water storage containers – using an insecticide treatment technology. This technology has been developed for bed nets in malaria prevention and control. These nets are designed both to prevent mosquito breeding in the water containers and to reduce adult vector densities and longevity. With regard to Malaria, India is in the "control phase", but is working to reach pre-elimination by 2017 and to complete elimination thereafter. How can India deal with the menace of the VBDs? India can do it: India has some of the finest doctors in the world and its prowess in medical technology is close to world class. It has remarkable achievements in public health such as significant declines in infant and maternal deaths (which still remain high). In 2014, India averted 126,000 deaths among children under five years of age, according to data released by the Registrar General of India. The survey indicates an 8.16 per cent decline in under-five mortality during 2013-14, more than the decline of 5.76 per cent during 2012-13. Visible change in government attitude: A long-awaited change in governmental attitude is also visible. As per the 12th Five Year Plan document, total public funding on core health was envisaged to increase to 1.87 per cent of GDP by the end of the plan. The Draft National Health Policy 2015 also plans to progressively raise the public health expenditure to 2.5 per cent of the GDP. However, this has to translate to higher budgetary allocations soon. Behavioural changes are needed: People who are in the greatest need of support are the poor and the disadvantaged. They must be motivated to improve their surroundings. There is a need for trained personnel to make people aware of better sanitation practices. Public awareness campaigns should be launched to sensitize people and communities on the importance of keeping the environment clean. Better communication via health messages: There is a major need for carefully sculptured health education messages to motivate people in various social settings. There is also a need to promote and establish mechanisms for action between communities, local agencies, countries, and regional authorities in the area of communications and health education. Sustainable VBD control: In order to secure the longest-lasting impact in the most sustainable manner, the ideal VBD control plan is one which is developed in consultation with communities. One logical target group therefore is today's youth, who can become deeply involved in community-based pest and vector source reduction campaigns. Mobilizing resources: In order to strengthen the capacity of local governments in the campaign against vector-borne tropical diseases, human and financial resources need to be identified and mobilized. Personnel must be trained to deal with emerging challenges with VBDs. Localized community plans must be devised to address the local menaces. Indeed, close contacts must be maintained with communities in order to recognize and respond to their needs. Shortage of doctors should be addressed: According to Indiaspend.org, millions of Indians cannot access India’s overburdened hospitals and inadequate medical facilities. The country remains nearly 500,000 doctors short of reaching the WHO's norm of one doctor per 1,000 citizens. India’s claimed doctor-patient population ratio is 1:1,674, worse than Vietnam, Algeria, and Pakistan. Also, the shortage of doctors was one of the health-management failures cited by the report of a parliamentary committee on health and family welfare, which presented its findings to both houses of Parliament on March 8, 2016. Performance evaluation: There is a need for continuous evaluation of strategies devised and the personnel involved in the implementation of plans. Inefficiencies must be addressed at the earliest. Continuous feedback mechanisms are to be developed and hence there is a need to have flexible local health policies to accommodate such feedbacks. Better vaccines: Despite enormous efforts, vaccines - which are the ideal weapon against the VBDs - are yet to be satisfactorily developed and implemented.